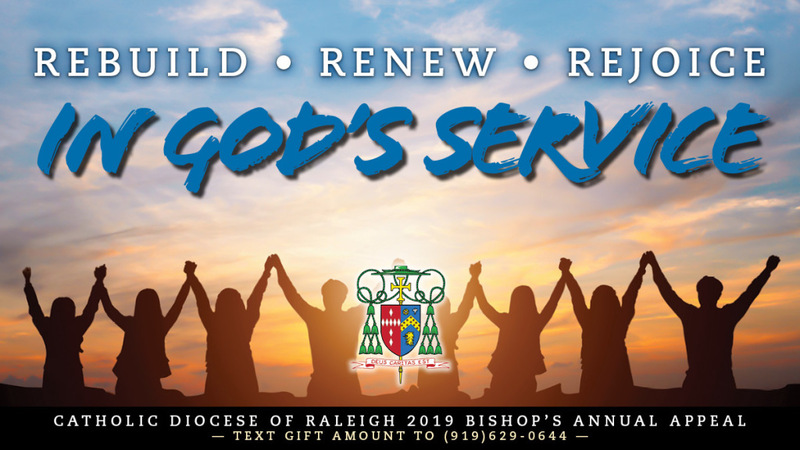 Again this year, the Diocese has made it possible for participants to pledge and pay pledges online. 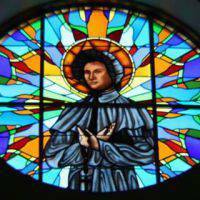 CLICK HERE to go directly to their online giving site. 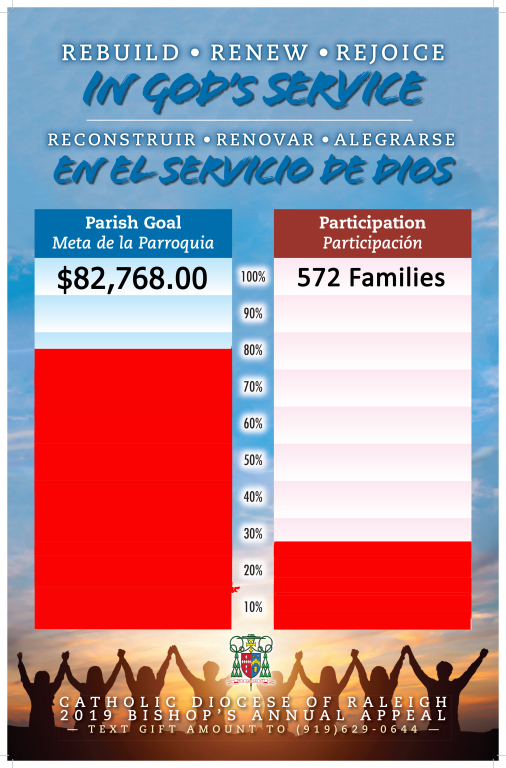 All monies received by the Diocese that is above our goal- 80% is returned to our parish. You can also text to gift. Call 910-629-0644 and follow the prompts. For fun, we downloaded the goal poster and will update it as we receive updates on our numbers from Raleigh-help us to reach 100% goal and 100% participation!